Over/Under: Under 158.5 at 1.87 Bet Now! When you lose a semi-final, you want to get away from the court as quickly as possible and lick your wounds. In normal circumstances, you would find that the players of Fenerbahce and CSKA Moscow would hide themselves away for a few days until they came to terms with their loss. This is not the way with the Euroleague Final Four though! Both of these teams had a bad night on Friday night, but they will both be back on the court on Sunday in the third and fourth battle that takes place before the Euroleague Championship game. 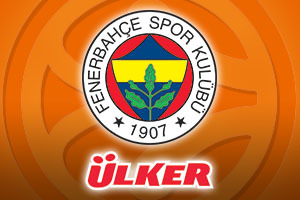 Fenerbahce have a 22-6 record for the season so far, which contains an 8-2 record in the regular season, an 11-3 record in the Top 16, a 3-0 record in the playoffs and of course, a 0-1 record so far in the Final Four. CSKA Moscow hold a 25-4 record in the campaign which includes a 10-0 record in the regular season, a 12-2 record in the Top 16, a 3-1 record in the playoffs and another 0-1 record in the Final Four. One of these teams will end with a 0-2 record while one will at least end with a 1-1 record at the end of the weekend. With respect to average points scored, CSKA Moscow have the edge 87.1 to 81.9. Andrew Goudelock has been the top scorer for Fenerbahce this campaign, serving up an average of 16.8 points while Nemanja Bjelica has offered up an average of 8.4 rebounds per game this season. With respect to assists, Nikos Zisis is the main player with 3.4 assists. Milos Teodosic has been in great form for CSKA Moscow, with an average of 14.8 points and an average of 7 assists this campaign. Andrey Vorontsevich has also been in fine form, offering an average of 5.8 rebounds per game this season. On the Money Line bet, Bwin believe that CSKA Moscow are the favourites for this game, placing them with odds of 1.45 to win the game while Fenerbahce can be found with odds of 2.70. A lot will depend on the psychology of the CSKA Moscow players who once again blew a semi-final that people thought was theirs for the taking. They succumbed to a wonderful late drive from Olympiacos but the CSKA Moscow camp will be feeling rather low about this game. When it comes to the handicap odds, you will find that CSKA Moscow, with a -5.5 handicap, are available at odds of 1.87 while Fenerbahce Ulker can be found with a handicap of +5.5 and odds of 1.87. If you are keen to get involved with the Over/Under market, that is available for this game as well. This game may seem the players playing with a greater degree of freedom, so looking to go OVER 158.5, at odds of 1.87 may be of interest. However, if you think that the two teams will serve up a flat performance after the disappointment of losing out in the semi-final, going UNDER 158.5 at odds of 1.87 could be to your liking. All of these odds are available with Bwin, a massive supporter of Euroleague basketball betting and betting in general. Bet Now! This is the first of the two games taking place on Sunday and while it may be the game that struggles for attention, it could be an opportunity for you to make some money and have some fun with Euroleague basketball betting. For the players involved, it offers a chance of redemption after their Final Four dreams crumbled on Friday evening.